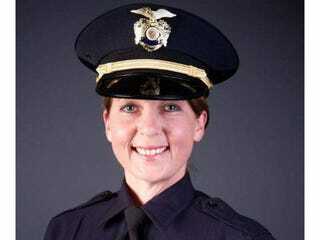 The Tulsa, Okla., police officer who shot and killed unarmed black motorist Terence Crutcher but was later acquitted in his shooting death announced on Friday that she will resign from the Tulsa Police Department. Betty Shelby was allowed to return to active duty and landed a cushy desk job after being acquitted in May of manslaughter. However, sitting behind the desk does not appear to be working out for her. “Since being reinstated, I have found that sitting behind a desk, isolated from all my fellow officers and the citizens of Tulsa, is just not for me,” Shelby wrote in a statement released by a local police union, according to CNN. Shelby’s last day at the police force will be Aug. 3. The Tulsa FOP Lodge 93 supports Officer Betty Jo Shelby as she takes this next step in her life. We are disappointed she feels can no longer continue her career as a Tulsa Police Officer, but we know this is the best move for her and her family. In May, after nine hours of deliberation, a Tulsa jury found Shelby not guilty in Crutcher’s shooting death, further enraging the community as well as Crutcher’s loved ones. Crutcher’s family, in the meantime, is still seeking justice and has filed a wrongful death lawsuit seeking damages as well as widespread reform within the Police Department. Read more at CNN and the Tulsa World.